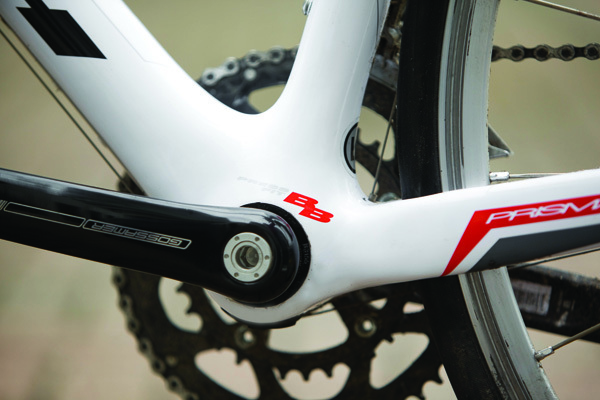 Making its debut in Cycling Active, Spanish brand BH has, in fact, been manufacturing bikes for over 100 years. It has a long standing presence in the professional peloton and a Tour of Spain victory under its belt. It currently supplies bikes to top pro team Sojasun and to a number of riders and triathletes. BH’s current range offers an impressive array of road, mountain and cyclo-cross bikes as well as some award-winning electric bikes. There are a few budget models, but mostly BH presents a selection of well-equipped good quality bikes. On test we have the BH Prisma 7.3. Similar to the Specialized Roubaix and Giant Defy that we tested in CA a couple of issues back, the Prisma range is designed for long hours in the saddle and for coping with rough road surfaces. So with comfort as a priority BH has designed a very compact frame for the Prisma, with a short seat tube and very tall head tube. But BH has also been mindful of performance. The full carbon frame weighs in at an impressively light 960g and takes a large BB30 bottom bracket in an oversized shell, making the bike stiff where it counts. The Prisma also has slightly shorter chainstays than usual, giving the bike a shorter overall wheelbase to aid snappiness and quick handling. and, in a pleasing break from current trends, the brakes. 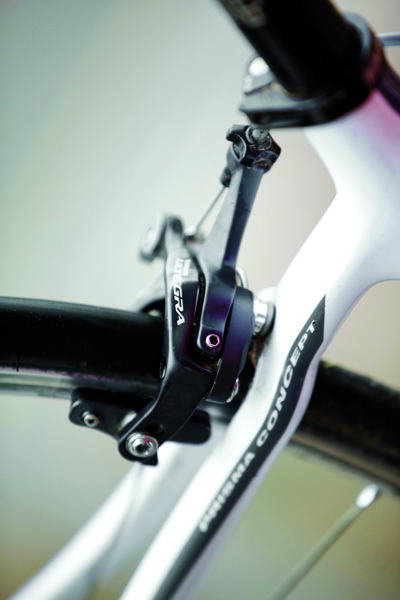 There is a Shimano 105 front mech, a slight downgrade which makes little difference in performance or indeed cost, and an FSA Gossamer compact chainset. The seatpost, stem and bars are Titan, which I found slightly cheap looking. We had a variation from the published specification with the saddle, getting a San Marco Spid, which I found a little flexible and would have preferred the advertised Prologo Kappa. With the wheels, it is a somewhat familiar story. The Shimano RS10s are tough and dependable but don’t quite match up to the frame or other components. They’re a good start but will do little for the bike’s performance and are adding roughly 2kg to what is an otherwise light bike. The choice of quality components do add to the quality feel of this bike though. The frame is probably as light as you have a right to find at this price point and is well constructed and nicely finished. It rides well, too: it’s stiff and the feel is typically carbon — soaking up the road nicely but feeling somewhat harsher over the big bumps. The rough road capability derives mainly from the geometry that places the rider off the back wheel and keeps the position pretty upright. The handlebar is pretty wide too, at 44cm. This makes the Prisma more of a luxury saloon than a nippy roadster. Once up to speed it rolls really well, using the combination of effective power transfer and low weight. It climbs well too, particularly on long, consistent seated climbs but it’s also well balanced when you’re out of the saddle. For me, though, the Prisma 7.3 lacked a little urgency, both in terms of handling and response. It’s a tiny bit slow out of the blocks and sluggish with changes of pace. In the corners the story is similar. The handling is sure-footed rather than razor-sharp and cornering is serene rather than swift. The bike feels well balanced and I had plenty of confidence in the Michelin Dynamic tyres, so the Prisma is not going to let you down but lacks some of the agility of a true race bike. So it may be a little low on thrills but after a four-hour ride it struck me that the Primsa had munched the miles at a good pace and left me feeling comfortable and pretty fresh. 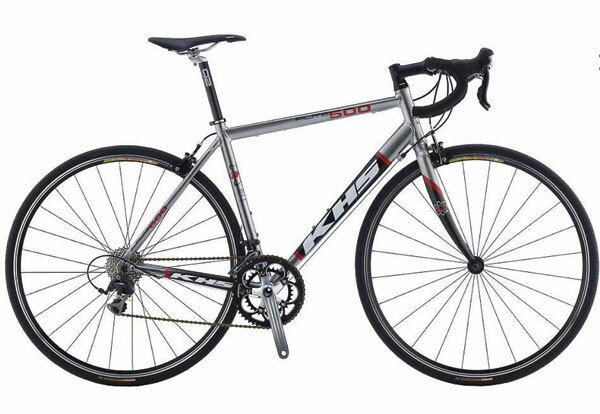 This bike is perfect for budding sportivistes and challenge riders; it is a quality, considered build that acknowledges both the popularity and specific requirements of this sector of road cycling, bridging the gap between performance and leisure bikes. So you can only be impressed about this approach to comfort and sportiness, but riding the BH Prisma 7.3 got me wondering about the versatility of these bikes. The quality of the Prisma brings a slight frustration in that it would be difficult to turn into a true racing machine, owing to its slack geometry. With its long head tube, the riding position will remain high for all except those at the very top of the height range for each size. Conversely, there are elements that restrict the Prisma at the other end of the riding spectrum. There are no mudguard eyes and the tyre clearance is very small. You would struggle to fit anything much larger than a 23c tyre, limiting the Prisma’s use as a winter trainer or commuter. That said, in blending low weight, quality kit and comfort in the Prisma, BH is ticking a lot of boxes for a lot of people. If you are looking for a bike for riding sportives, or for long training and leisure rides, then the BH Prisma 7.3 may be for you. 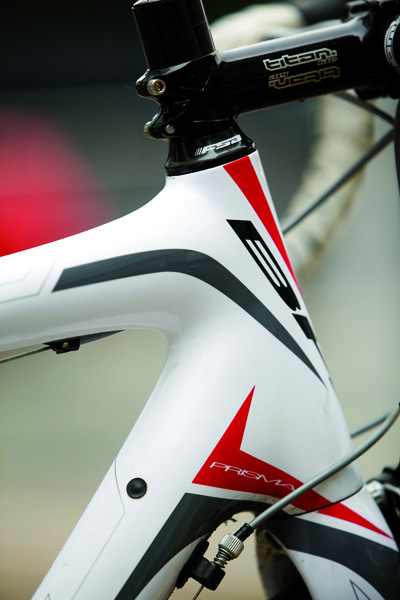 If not, BH’s approach to bike building, apparent in the Prisma, makes its range well worth a look.